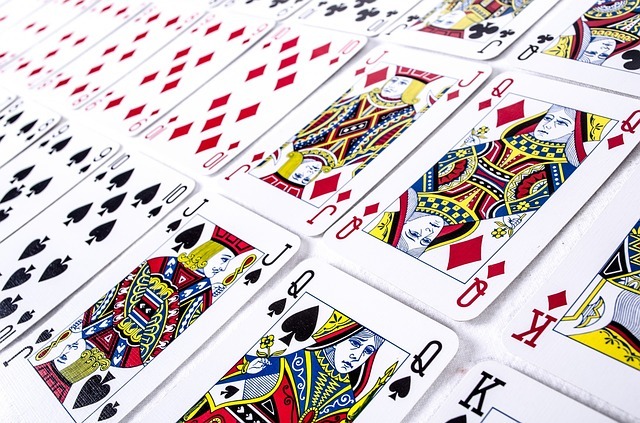 Many people feel that the online poker strategy differs from that of a casino. The main difference is that you can’t see the person. You’re unable to tell how they react when playing. This is different and for some people it makes online play more difficult. The truth is, it shouldn’t. Playing online for most people should be similar as in a casino. Especially if you’re the type of player that’s constantly losing their money. It won’t matter if you’re chips are going to a real person or someone over the internet. You’ll still end up broke and wishing that you folded your hand. Always make sure to study the other players. Not doing so is a mistake that a lot of new online players make. They think there is no information to be gained since it’s all online. Just because you can’t see tells doesn’t mean there’s nothing at all to be learned. You can learn quite a bit about online players by studying now they play. Many poker rooms even allow you to make notes about players. You’ll want to take notes on each player so you can remember their playing style. This will come in handy if you see the user again down the line. It’s not uncommon to see a player at several different tables at a tournament. Your notes will be much needed information that you’ll use as you progress through the tournament. Don’t try to bluff every hand. It can be easy to do when playing online. You think the other player isn’t able to tell when you’re bluffing or not. The problem is, you don’t know what the other player’s cards are. They very well may have the nuts. All you’re doing is being a fish on a hook. The only thing you’re doing is reeling yourself in. Your opponent doesn’t have to do a thing when you’re over aggressive. Take it slow and allow your opponent to slip up from time to time. You can’t possibly have the best possible hand every time. It’s when you least expect it that someone will come along and bust you while you’re trying to bluff. Keep the drinking to a minimum when playing online. Nothing is better than knocking back a few beers while playing poker. Especially when all you have to do is go to your refrigerator to get those beers. It can be easy to drain a few too many bottles of suds while playing poker. A beer or two may help you relax and enjoy the game. Anything more than that and you’re asking for trouble. You’ll make stupid plays when drunk. That will result in you losing lots of money. It never goes the other way when you’re drunk and gambling. Rarely if ever will you come out ahead while playing three sheets in the wind. The best advice to any novice online poker player is to have fun. Enjoy the game and have yourself a good time. Very few people will ever be able to make a profit playing poker online. It’s a game of chance and that’s the way you should look at it. That’s why having fun is the most important thing. Enjoy playing the game and you’ll be rewarded by having a good time. Always try to keep your losses to a minimum and never play drunk. You’ll totally regret it the next day if you do.